Matt was focused on making sure we had everything WE needed. He genuinely cares about his clients and goes above and beyond to make sure they are happy! And it helps he is an expert in Jeep products! 😉 Jack in finance was great and kept us laughing to whole time we were signing paperwork, but paying attention to the details at the same time. 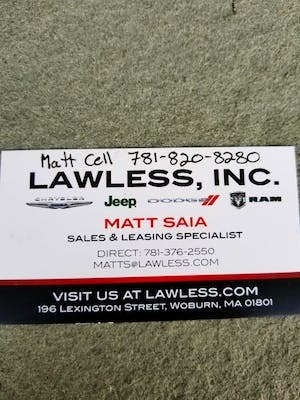 These guys are awesome and a pleasure to deal with... if you need a car, SUV, or truck... go to Lawless and ask for Matt!!! 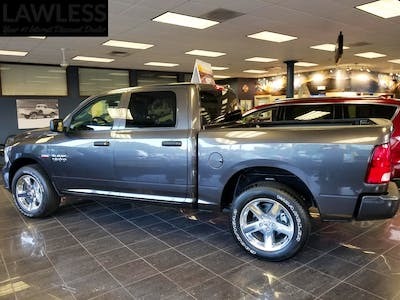 So far very pleased with Lawless Chrysler Dodge Jeep Ram. Rob Martin in sales was a breath of fresh air and Steve Pedro in service has also been great. Rob was very easy to deal with and made the process as easy as possible. I went in knowing what I wanted and Rob and Calvin were able to make it happen for me. They saved my car from Grava, and have a customer for life! This is my 3rd lease from Lawless and I truly believe I get the best deal here. My husband leases the same car as me from another dealership and pays almost $100 more a month. This time around I got Sean Sullivan for the sale and he was so genuine and "not pushy" at all so it was a real pleasure. He also helped me put a n w car seat in my new car which was an added bonus! I love coming here! Ended up here when after herb chambers was being rediculous and we walked. Pulled into the lot and a guy named Matt Saia met us in the parking lot, extremely friendly. 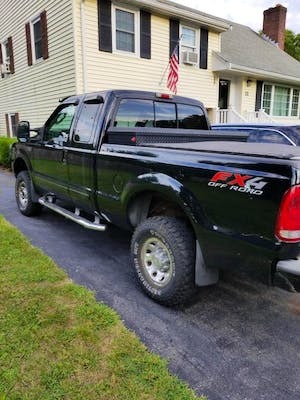 Worked with us on the trade in value and fast tracked the paperwork. We signed the paperwork around 6pm monday, had it ready for pick up 9am Tuesday. Finance department was also great got a low rate and didn't argue when we said we weren't interested in the add-ons. Highly recommend if you want a preowned vehicle. Rob was a very informative and outgoing car salesman. He really sold the car to me! Rob made this experience enjoyable and his customer service was excellent. 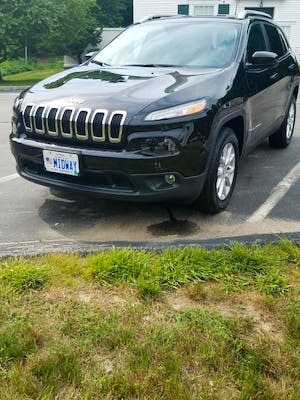 I went to Lawless Jeep to Lease a new 2017 Cherokee and had a positive experience. I set up a meeting in advance and met with Sales associate Rob Martin. 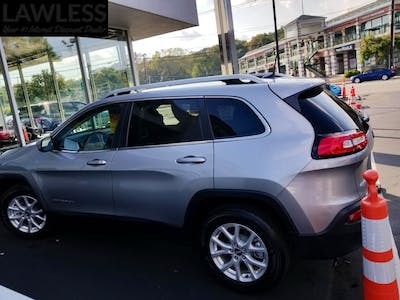 The Vehicle an options I was interested in was available at Lawless.Rob was clear with the various Lawless lease terms and the specifics of the new Cherokee. He was straightforward in a cordial manner in a very relaxed setting which resulted in an overall pleased customer. I just purchased a new vehicle from lawless and they are the best dealership around! Great prices and great services. I recommend this being your first stop on your car search! Had a great experience leasing a new grand Cherokee from Sean Sullivan. 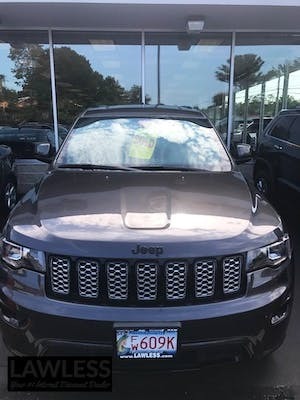 He was patient as we tried many models and finally settled on the grand Cherokee. Then was very patient as we went through the same process picking g the exact vehicle and financing package. After a bad experience at another dealership we came to Lawless and got Rob as our Salesperson. He was personable, knowledgeable, down to earth and funny. He made a stressful experience extremely easy. Rob was one of the main reasons we purchased the car at Lawless. If you are looking to purchase a car we highly recommend Rob Martin. Our sales rep., Rob, was helpful and knowledgeable. We didn't feel pressured at all and Rob's humor and good-natured personality made the whole process smooth! Highly recommend! 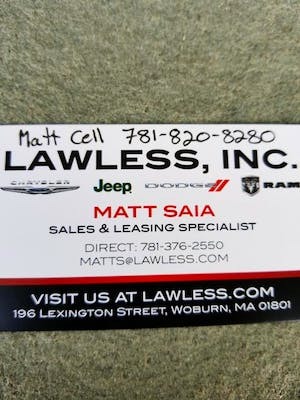 I literally went to 6 dealerships until I walked into lawless I was greeted by a fella named Matt! He knew exactly what I was looking for his customer service is top notch! He even delivered the vehicle due to my busy schedule and life. 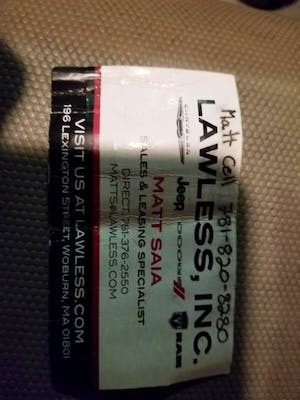 I refer all my friends and family to lawless they will never let you down especially if Matt is selling you the vehicle. 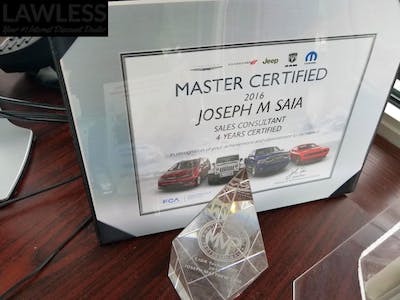 Salesperson Matt Saia was excellent. Matt knows his stuff. The car was for my daughter and he took his time going over the car with her during pickup. 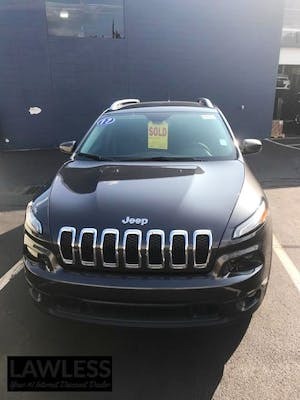 I have bought two cars from Matt and am looking at another Jeep! Matt always does his best and even goes above and beyond when needed! Thx Matt!! 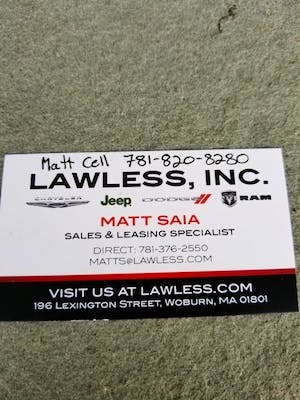 Go see Matt saia for any new or used car or truck!!! he will run around and do everything u would ever ask for and make your car buying expierence perfect. Go see Matt and buy from lawless!!! This dealer is my onestop shop for all things American! From a robust selection of new and used Hellcats to an amazing selection of wranglers I wouldn't shop anywhere else. Ask for Matt, you will not be disapotioned. 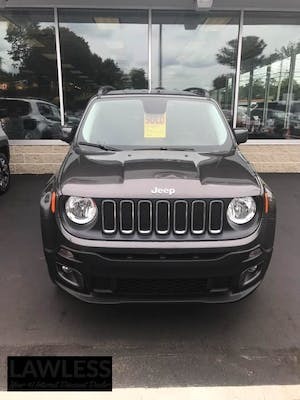 I had several people recommend this dealership to me (after shopping around a lot I should have just started here in first.) I had over 8 people recommend Rob to me as a salesperson. He was beyond wonderful. He was straight forward with everything. I never felt hassled or pressured. The process was so easy compared to other places and I truly could tell him and the team at Lawless tried to get me the best possible deal. they didn't hide any costs and broke it down perfectly to understand. We began our car buying experience on Memorial Day where we met Matt Saia directing the traffic in the lot. 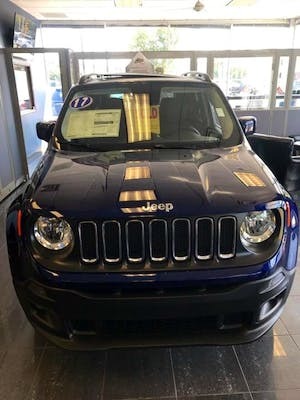 He was helpful and in spite of the large number of potential customers took the time to give us a run through of the jeep we were looking for. 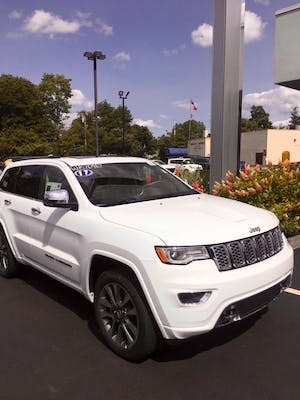 After visiting five other dealers we came back to buy our Jeep Grand Cherokee Limited from Matt. Lawless is FLAWLESS! I loved my experience at Lawless! I had no idea what I was looking for but when this car peaked my interest Jared really explained everything about it and led me to make a super informed descision. Even though I picked up my car on the last day of the month (big paperwork day) I still got the registration printed in a timely manner. My family has always shopped here and now I know why! 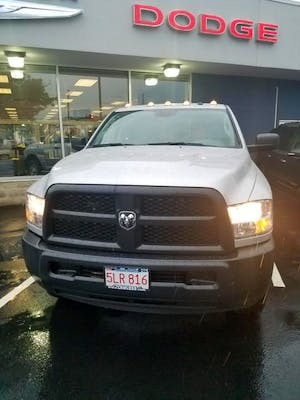 My sales person was very knowledgeable, listened and understood my needs and put me in the right truck. It was a very pleasant and positive experience. 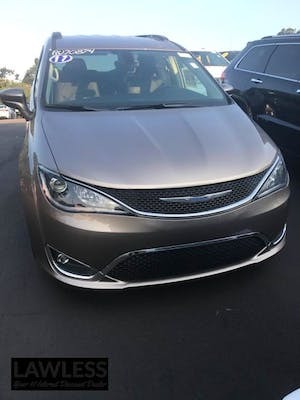 Tom Haddad was a pleasure to deal with...no typical salesman pitch...great guy...finance went smooth as well--Steve Chivelli was knowledgeable and expedited my transaction without hassle...would recommend to anyone. Clayton was very professional and no nonsense. He was very easy to do business with and completely understood my requirements and concerns. Great job and thank you. Salesman knows his job and was not pressuring us. service depart very knowledgeable, and clean waiting room. dealer ship easy to get to. The employees are very friendly and take time to explain the services needed to you. You can wait in their warm and inviting waiting area. Best customer service - Tom Haddad is the Man!! Thanks for all your continued hospitality! the customer service is always outstanding at lawless. Kyle at the service department was very helpful and called me multiple times to keep me updated on my car. One of the best experiences I've had at a car dealership. Thanks guys! Matt Saia was great, knowledgeable, helpful, and hoes above and beyond for his clients. This is the 5th car I've bought from Lawless and the 2nd from Matt. The customer service representative was very kind and understanding of my time constraint. He assured me that my oil change would be done quickly and my vehicle was ready sooner than expected. Matt Saia is the best car salesman I have ever dealt with. 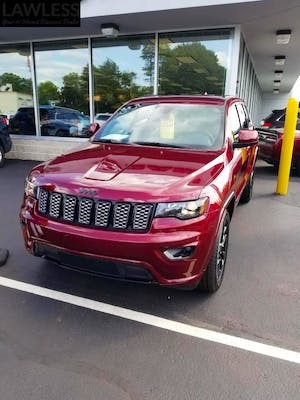 We originally got 1 grand cherokee from Matt for my wife back in May, and we came back and got another one this July. It was so quick and easy ! Tom Hadad took me through every step which made the process stress free. Professional and friendly. Fixed my problem in a timely manner. Would definitely bring my truck back for service again at this dealership. Rob was excellent!!! Very patient and extremely helpful. No pressure what so ever. Totally knowledgeable. Looking forward to doing business with him again. I always dread car shopping. 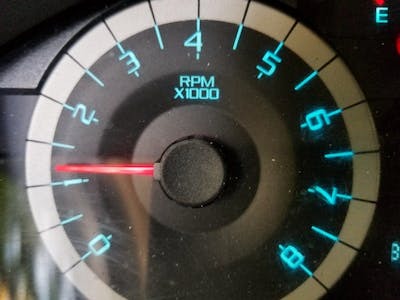 Getting a new vehicle is fun but the process takes forever. This time was different. Everything went so smooth & fast. Everyone was great! It's always a straightforward experience, I don't have to waste a whole day going back & forth or going to anothet dealership looking for a better deal. They give you a great offer up front. Tom Haddad was extremely helpful! He answered all of my questions and helped me find the car I really wanted within my price range. As well, the other people who helped during my purchase were so pleasant and kind. It was truly an enjoyable experience!! Clayton Marin was terrific. Made me feel real good about my purchase and took the time to explain all of the features included. Freddy was very helpful as well. He worked hard to find me the right jeep. Steve Pedro in service is always the best!! I've had the pleasure of having him help me several times and he is truly an asset to your dealership!! Nicest, friendliest and most professional ever!!! 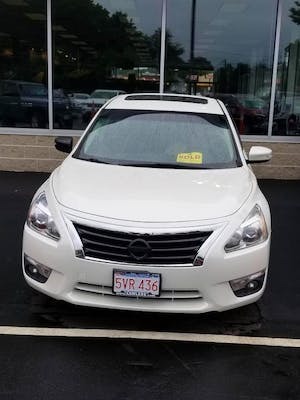 The car was waiting for me to test drive and Matt S was so helpful about the actual details of the car and pricing tips and very honest. He got us coffee while we waited and also helped set up insurance which he didn't need to do. It was the best first car experience I could have hoped for. I was in and out pretty quick for my oil change. The service advisor took the time to go over the inspection checklist at the end as well. Sham was very attentive to me and patient with all my questions. He took the time to listen and act on my inquires and provide an informed answer that satisfied me. 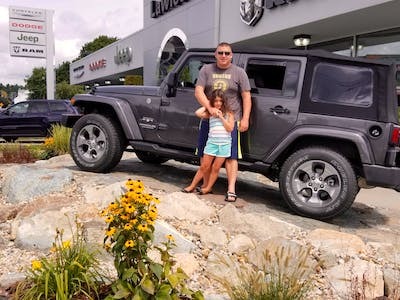 Matt Saia was amazing to deal with, and helped me to find the Jeep of my dreams! He was a huge help figuring out what exactly I was looking for in terms of a car, and made the whole process as easy as possible. We had a very knowledgeable salesman. He was very friendly and extremely patient but never pushy. He never used high pressure tactics. Matt Saia was a huge help! I got the jeep of my dreams, and Matt did a great job with everything! Good facilities and great selection. Greeted on arrival and helped right away. Nice waiting area. Polite and professional service people. Service was taken care of in a timely manner and details of service listed on invoice. The Service Personnel was friendly and courteous. The waiting area was comfortable and had a nice wi-fi cafe which allowed my to work while I waited for my vehicle. Kyle was very informative, helpful and professional. I am very happy with overall experience. Great Job !!! Kyle was very informative, helpful and professional. I am very pleased with the overall experience and service. Great Job !!! John Murphy was great. He helped out every step of the way without being pushy. I plan on buying a car for my daughter from him next month!! 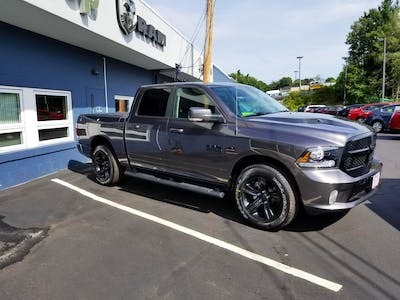 john murphy was top notch....with the help he gave my fiance after she purchased a used vehicle for her son.....i was interested in a RAM 1500 ....their was one particular model i wanted and he made it happen...perfect results...perfect relationship for the future. Such a pleasant, easy, and fun first lease experience! Fred was fantastic, stuck to my price point, and didn't waste any time. I will be back! Matt was awesome. He listens to our list of wants and needs and delivered the exact perfect fit vehicle. This was the most expensive vechile we have ever purchased and Matt was so patient with us. He answered every question and didn't pressure us to make a decision right away. Everything was ready to go when we arrived, everything went quickly, and the salesman and finance department were not pushy. 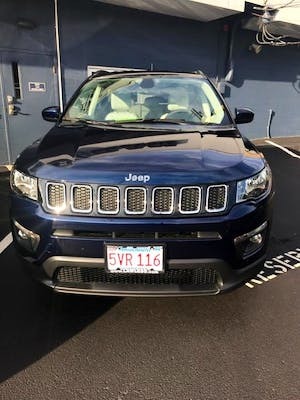 Bought a '15 grand Cherokee here and recently had some trouble with it. I brought it in right away, and Frank (who I will bring my cars to as long as I live) immediately got me in and got me a rental. Frank truly seemed to care that I had a safe car to drive while mine was being fixed. Thank you so much. Easy buying process. Jared is great. I have bought cars here before and continue to be happy with my buying experience. John Murphy was a pleasure to work with. He took the anxiety out of the whole process and allowed me to get right to trying to get a vehicle. I would trust him to sell a car to my grandmother. Much thanks to him. Sales was nice and easy to work with. 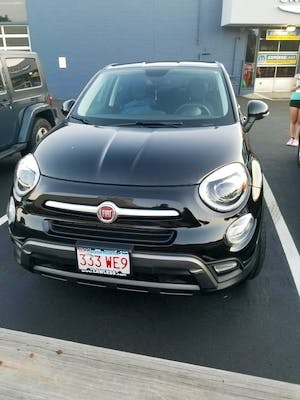 Was able to trade in my old car and get a new lease quickly for the price i wanted. 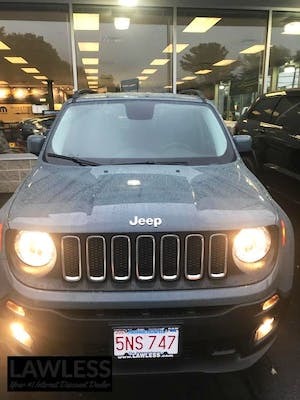 From sales, to finance, and the runner who brought my car to NH and everything in between. Lawless was a great place to do business! Brought the Jeep in for brake failure and other recall related issues. There were no questions asked, no lobbying to attribute the brake failure to something else other than the recall. Very strait forward and easy experience. Fast turn around as well.